Sennheiser, a manufacturer of premium headset solutions, showcased its line of premium headsets and speakerphone solutions for the contact center and office marketplace at Enterprise Connect. Sennheiser’s booth spotlights an array of models for the contact center and office marketplace, offering Bluetooth, DECT wireless, and wired units. These include the new D 10 family of high performance, noise-cancelling headsets, in addition to the DW, SD wireless, Century, Circle, Culture, MB and PRESENCE headsets; plus Sennheiser’s new, award-winning unified communications SP 10 and SP 20 speakerphones. These models facilitate outstanding intelligibility and audio quality for a roster of challenging office environments. 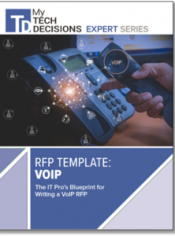 Their advanced features address scenarios ranging from high-noise call centers to on-the-go teleworkers who must field calls from unpredictable off-site locations such as busy trade show floors or high-traffic, open public spaces. Alcatel-Lucent Enterprise New 8088 Smart DeskPhone integrates with OpenTouch 2.1 for unified communications and visual collaboration to boost video adoption in business. Alcatel-Lucent Enterprise introduced a new tool to help businesses take visual communications to the next level. The Alcatel-Lucent 8088 Smart DeskPhone helps employees be more productive in the workplace with new visual communication and collaboration capabilities. The 8088 Smart DeskPhone is part of the OpenTouch 2.1 update just announced, which delivers an enriched personalized connected experience for users. The OpenTouch Conversation collaboration tool interface is now available on the 8088 Smart DeskPhone. With OpenTouch Conversation users can easily navigate between workstations, tablets, smartphones and the 8088 Smart DeskPhone to use the most appropriate device for their needs without losing context or interaction in the conversation. One Source Networks (OSN), a global UC and managed cloud services partner, announced the introduction of Cloud Lync Enterprise at Enterprise Connect. Cloud Lync Enterprise is a fully-managed, dedicated Lync offering that provides the feature functionality of a premises-based Lync environment, delivered as a cloud-based service. 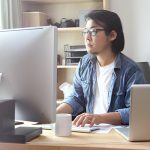 With Cloud Lync Enterprise, companies can drive better collaboration across their organizations with tools that include videoconferencing, IM and presence, and full Enterprise voice calling capabilities, including PSTN connectivity. Grandstream Networks, a manufacturer of IP voice/video telephony and video surveillance solutions, is releasing a revolutionary new HD video conferencing system for beta testing. 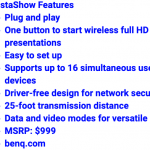 The Grandstream Beta Club is now taking applications for its most groundbreaking product yet for external Beta testing – a powerful video conferencing system running the Android operating system. 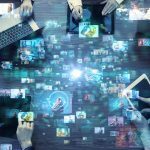 The product will be one-of-a-kind in the video conferencing market, and has the potential to be a disruptive game changer for visual collaborations for businesses of all sizes. 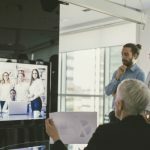 This video conferencing system will be the first of its kind in Grandstream’s product portfolio and announces Grandstream’s strategic entry into the video collaborations market in the near future. To apply, please go to betaclub.grandstream.com.